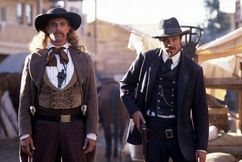 Deadwood fans have been waiting for a reunion movie, and there is a new update on that planned project. It is still being developed. That is the good news. 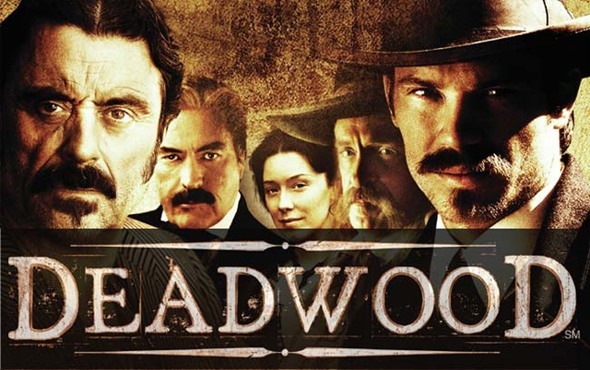 Were you a fan of Deadwood? Do you want a reunion film? Tell us what you think. We loved this series HBO has out. But leaving it’s watchers hanging not knowing what finally happens is bad business. I really hope HBO can do a final show to let it have a ending. MY HUSBAND AND I LOVED THE DEADWOOD SERIES AND WOULD REALLY LIKE TO SEE MOVIES TO COMPLETE THE STORY. PLEASE MAKE IT HAPPEN SOON. I am just watching Deadwood now, in 2017. I am nearing the end of season three, and just sad that it will soon be over. I would love to see a movie. 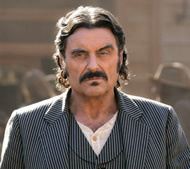 I am watching Deadwood again on amazon and waiting for more. Please give us a movie or another season! Deadwood is the greatest cancelled too soon series of all time. My husband and I just watched the entire 3 seasons after he had surgery, not realizing that the series had ended. (Where had we been?) We’re devastated that it stopped. What happened to doc? Alma? We we’re wishing for more dasteredly things to happen to Gerald McCraneys character. Having a reunion of sorts would be wonderful to look forward to. Please try!! This is a first class series, I am just watching it all again and the writing and characterisations of the actors remain superb. It would be SO GOOD to see Al back at the Gem swaering like a trouper. Ian McShane will never get a part like that again! Best show ever ! My hubby and I watch all the season’s over and over . We vacation to Deadwood , South Dakota every year , sometimes twice ! But disapointed that the town is looking more modern over the years. We have been going to Deadwood since 2008. Looking forward to our next trip in May.